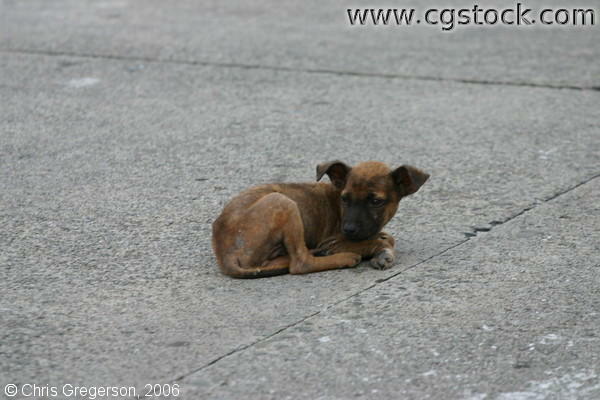 This is a picture of a small dog left alone on the streets of Balibago in Angeles, Pampanga. It has been sick and has a skin disease. "Askal" is what is termed for the breed of this dog in this country.